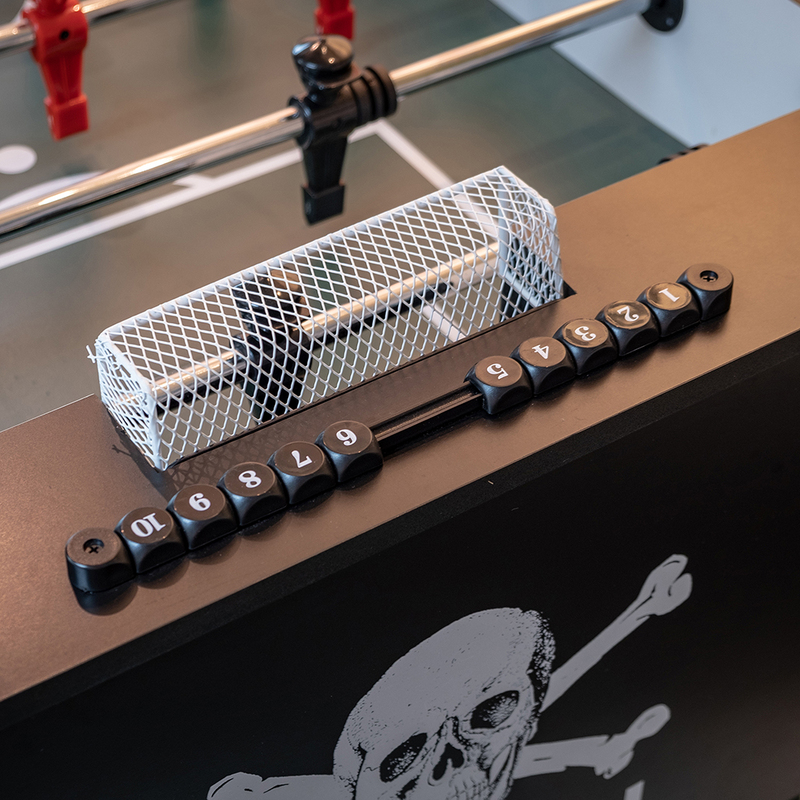 This table is a real highlight among our Football Tables. 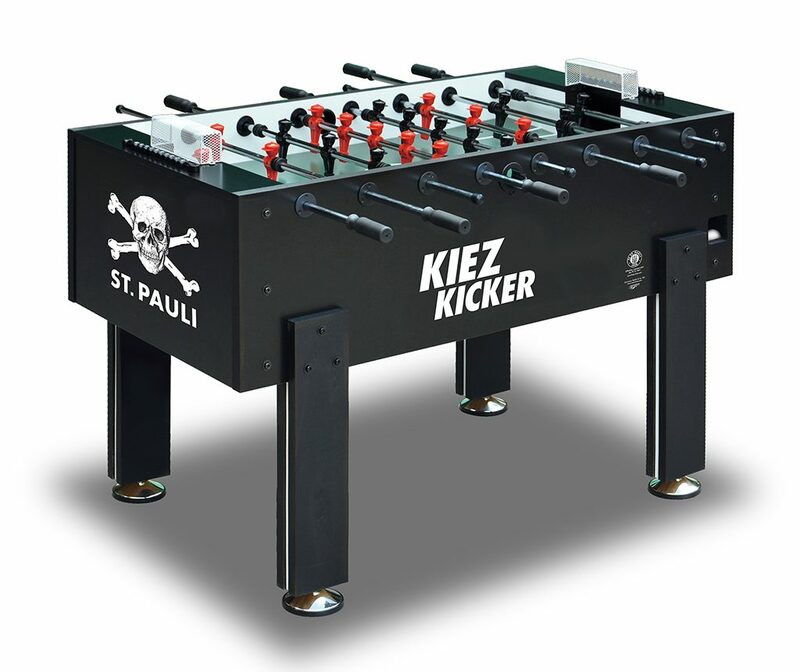 It is an official licensed product of the legendary Hamburg-based football club FC St. Pauli, with the clubs iconic skull and cross bones logo as white silk print on a pitch black body. 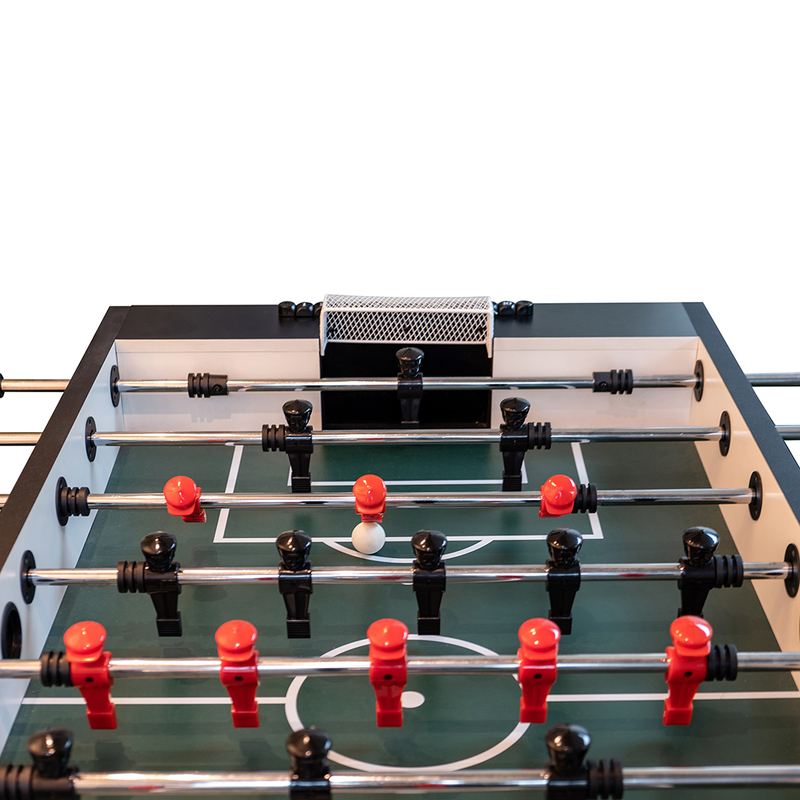 With its 74 KG and massive outlook it is a true eye-catcher in every room. 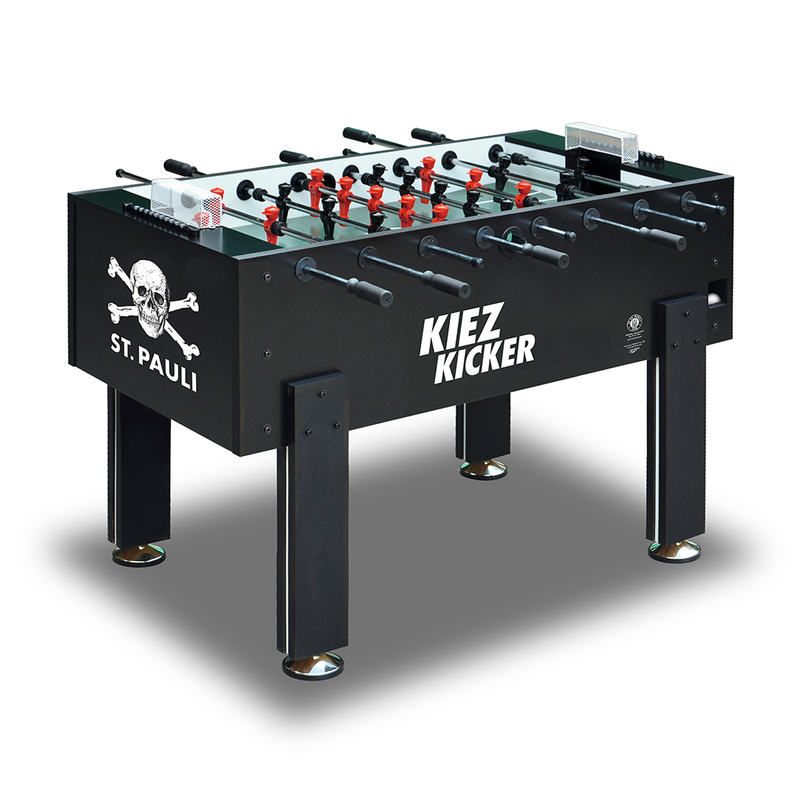 Equally impressive are the playing properties, which are on par with professional tournament tables “Made in Germany”. 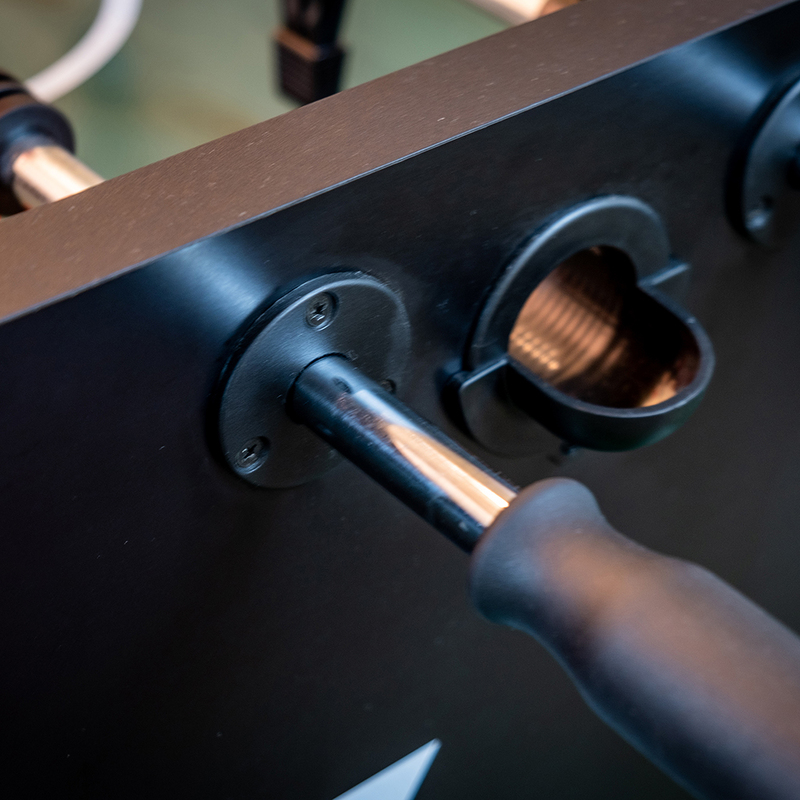 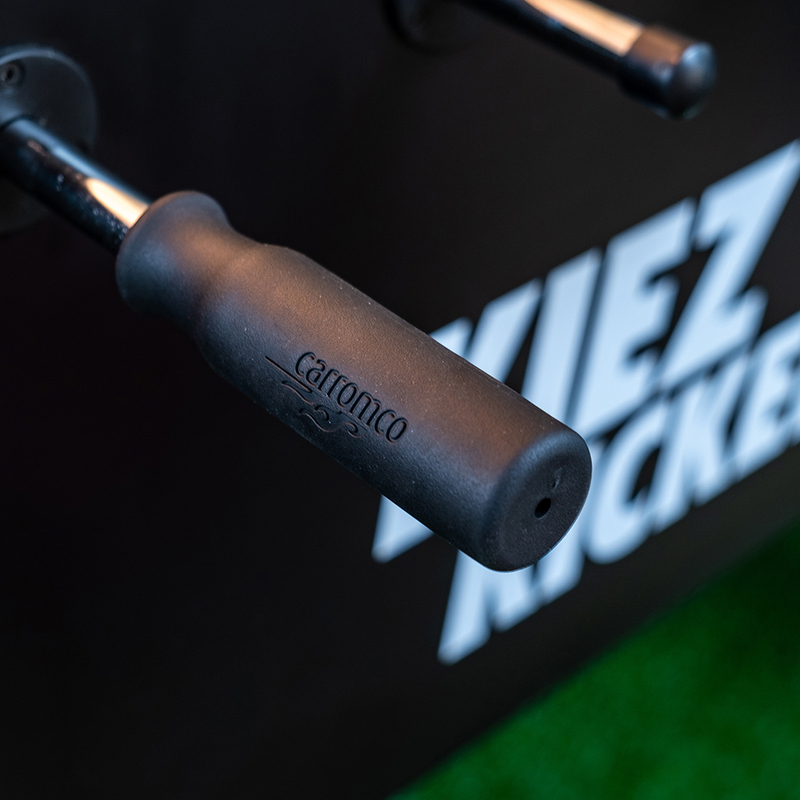 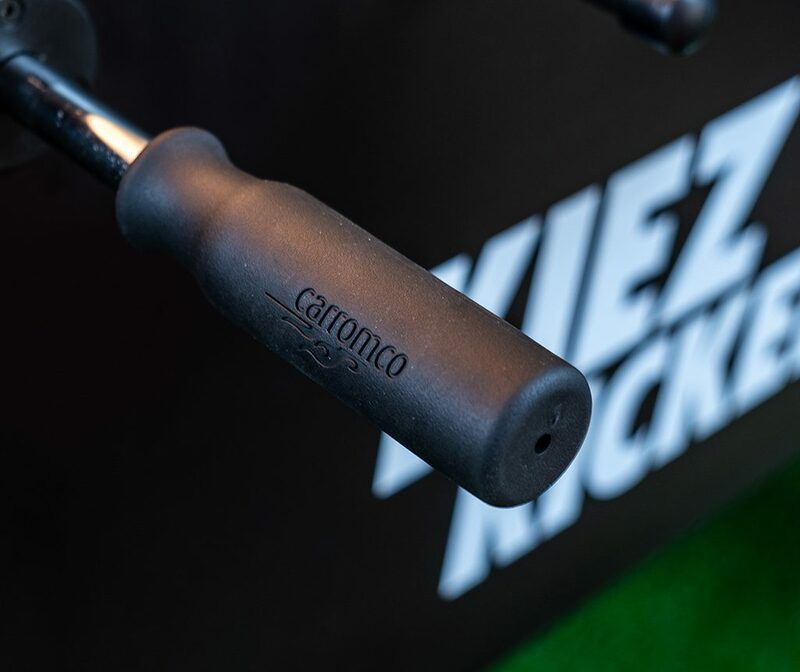 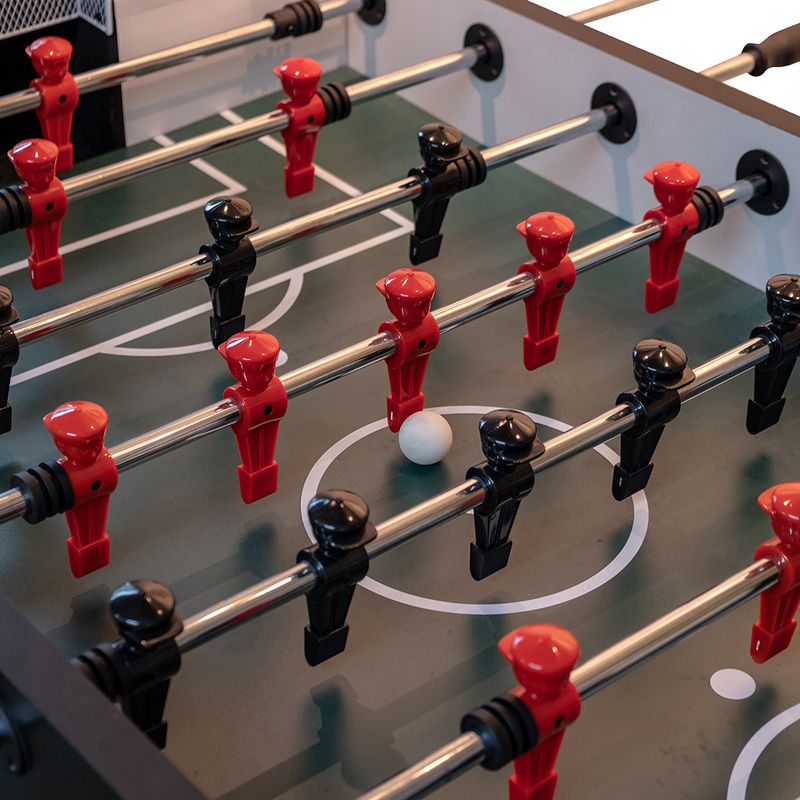 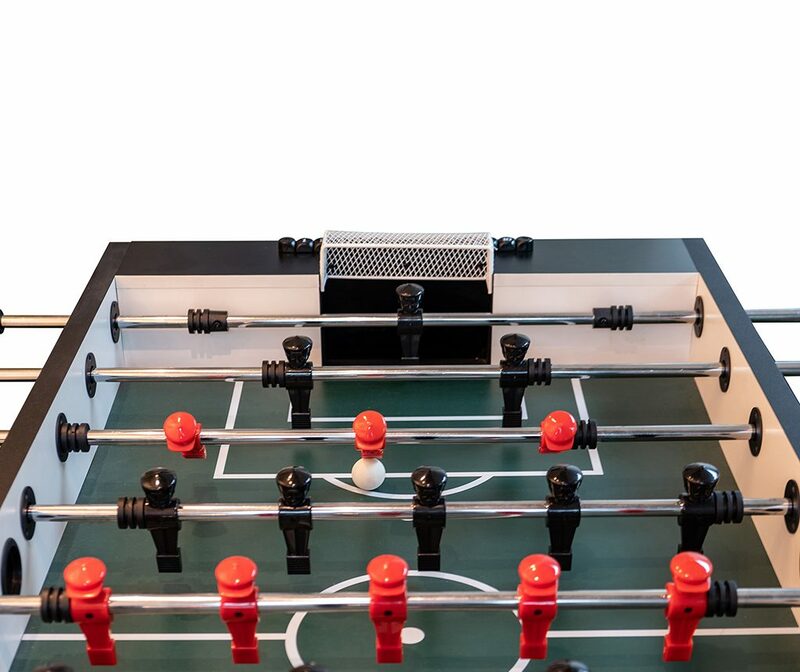 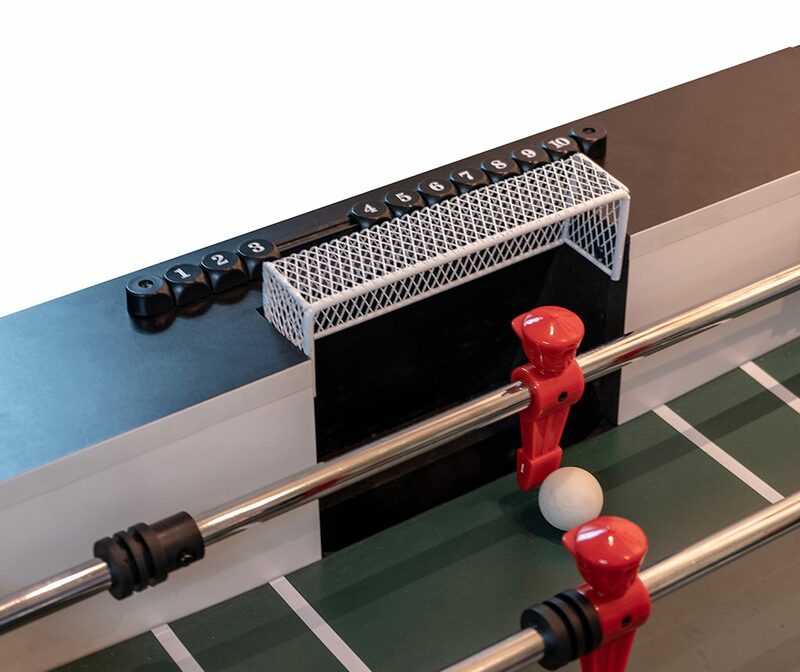 Thanks to the use of Carromco’s own developed players, handles and bearings, this table allows all popular playing styles such as fast tic-tac, pin-shots, snakeshots or brush passes. 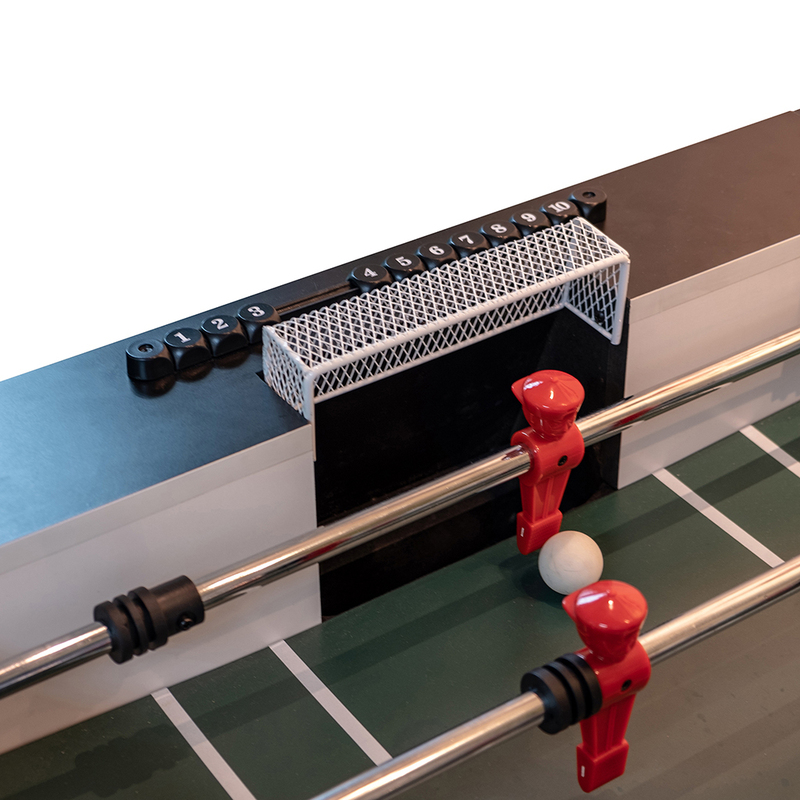 The table comes with 2 soft high-grip balls for extra ball control. 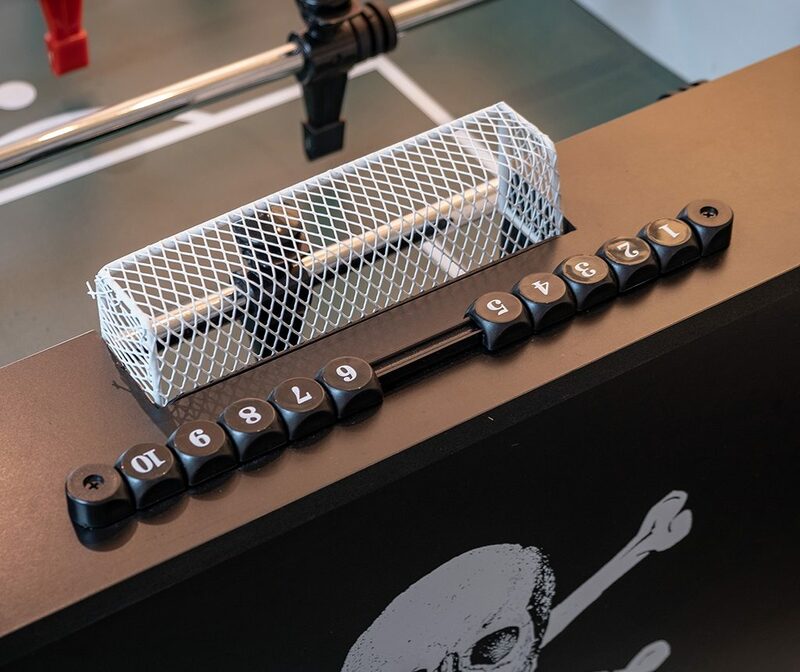 Lastly it has a solid metal goal sound as a true reward when scoring a goal.